Step into The Office and take care of business with handcrafted drinks, special wine, cold beer, appetizers, and live music. Find us at the Historic Strater Hotel, downtown. The Office Spiritorium, located in the heart of Downtown Durango and pat of the Historic Strater Hotel, provides a bar experience like no other in Durango. Step into a literal museum of craftsmanship — from the interior woodwork to the exceptionally creative specialty drinks, wine list, craft beers, and delicious appetizers. Coined by Rod Barker, owner of The Historic Strater Hotel, the word “Spiritorium” is the perfect name for a memorable drinking establishment that defies definition! Just as everyone should have a home away from home, we believe everyone should have an “office” away from their office. The Office Spiritorium provides a comfortable respite for locals who want to wind down after work and leisure. 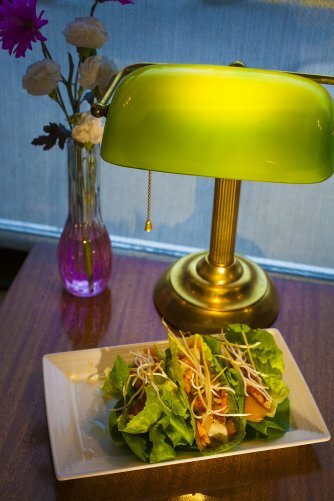 With one of the best happy hours in town, from 4-6 p.m., it’s a Durango favorite for meeting with friends, lounging, and enjoying music. 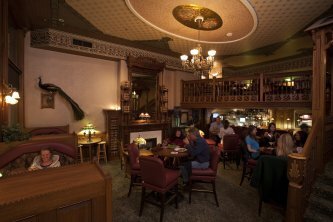 As a cherished part of The Historic Strater Hotel, The Office represents all of the rich craftsmanship and resplendent Durango history that is part of the unique Strater Experience. As you find yourself looking around, see if you can’t spot the peacock and ask about its story!